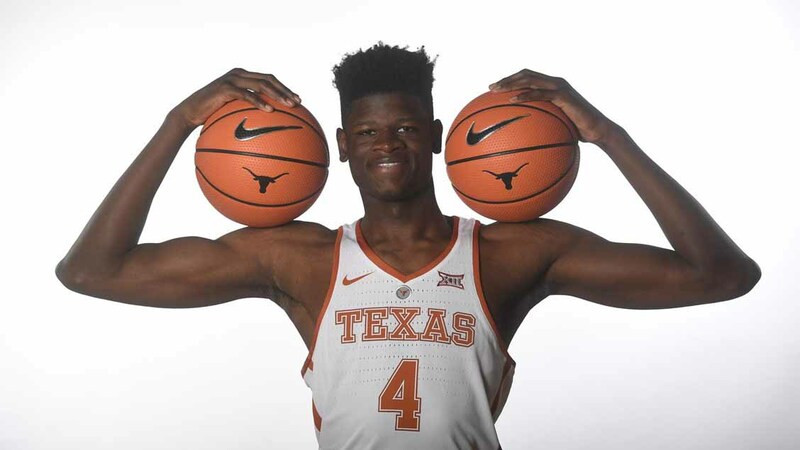 Freshman Mohamed Bamba scored 14 points, pulled down a game-high nine rebounds and blocked a game-high five shots as the Texas men's basketball team pulled away from Louisiana Tech, 75-60 (photo courtesy of texassports.com). AUSTIN, Texas — It’s hard to miss Texas center Mohamed Bamba. He is 6-foot-11 and has a 7-foot-9 wingspan, after all, but for most of Saturday’s game against Louisiana Tech, the Longhorns’ prize freshman was a non-factor because he was sitting on the bench with foul trouble. But once Bamba threw caution to the wind at the end of the game when he was needed the most, the Longhorns flourished.